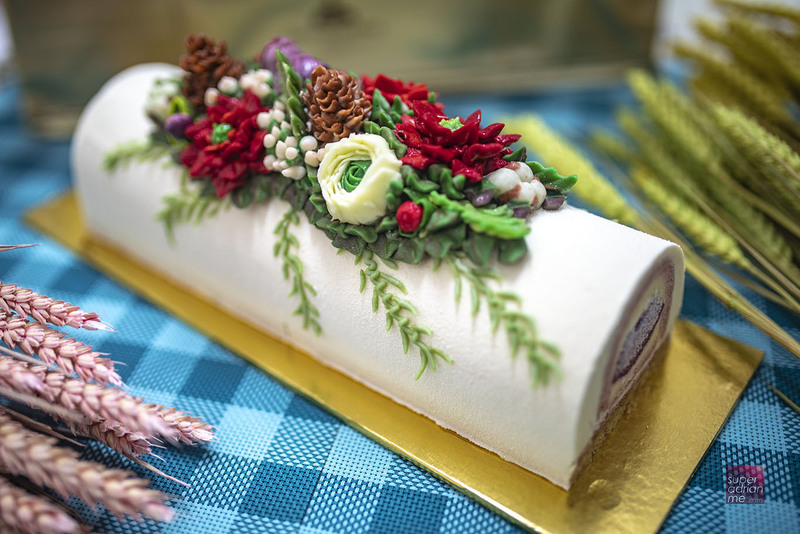 Goodwood Park Hotel Singapore sent us their Yuletide Blossom Log Cake today. And when we opened up the box, we were mesmerised by how beautifully decorated this log cake looked. 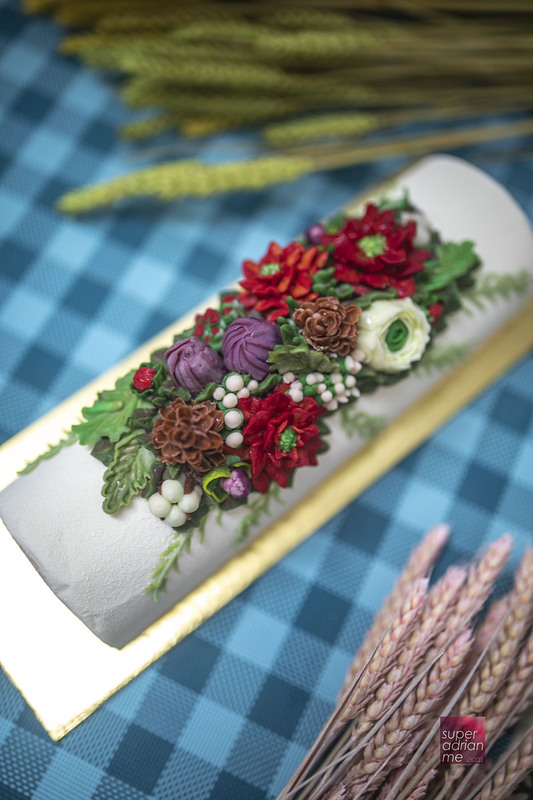 Priced at S$82 for 1kg, this log cake’s intricately hand-piped butter cream flowers look so realistic that we almost could not bear to cut it up to taste it. The log cake is a creation of white chocolate mousse with a strawberry chiffon sponge, yuzu infused pear bits poached in red wine and a hazelnut sablé Breton base. This log cake does not only look good, it tastes as beautiful as it looks. An impressive dessert to bring to a Christmas party or as a year end gift for your friends or business associates. Takeaway gourmet treats are available at The Deli from 1 to 26 December 2018. Advance orders of five days are required. Call the Christmas Call Centre at +65 67301867/68 from 10 am to 6 pm daily or email [email protected] or visit festivepromotions.goodwoodparkhotel.com from 1 December.